Rose-Marie Swift is a bit of an eco-hero to me. I love her work as a make-up artist, and also love her strong ethics when it comes to organic beauty. Her product range RMS Beauty is a staple in my professional kit as well as in my personal make-up bag. If you ever have the chance to go and meet her at an event then I highly recommend that you do. I could sit and listen to Rose-Marie for hours; she has extensive knowledge of make-up, ingredients and products and her behind the scenes antics will have you chuckling away. 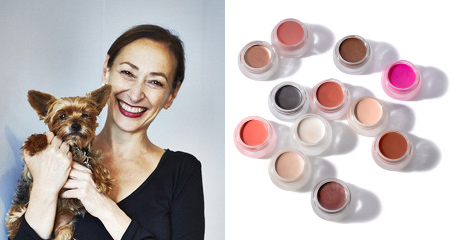 The RMS range is a prime example of organic make-up at its best. The textures are amazing and easy for anyone to use – they are just as at home in the hands of a make-up novice as they are in the hands of a professional make-up artist. The colours are very wearable too, you can’t really go wrong. Solar and Magnetic are my go-to colours for the eyes, while Smile is my favourite cheek colour. Sacred is an amazing bright pink lip colour and a personal favourite. The products are actually interchangeable though, use the lips on the cheeks or the cheeks on the lips, or mix them together to custom blend. Organic, raw, virgin coconut oil is the hero ingredient across the range, blended with other gems such as cocoa butter, shea butter and jojoba oil. So it’s not just a make-up range, its an extension of your skincare that will feed and treat your skin while enhancing it too. In light of Organic Beauty Week here in the UK, I asked Rose-Marie a quick few questions about her views on organic beauty. Organic is actually a growing process that does not allow any chemical synthetics, pesticides, fungicides, insecticides or genetically engineered ingredients in the process. It means a healthier lifestyle without the nasties that can effect the immune and endocrine systems. It can be food or beauty products. It is the way we were born to synergistically survive with nature. Well the choice is either synthetic chemicals, synthetic preservatives, mineral oils, genetically modified ingredients… or pure, organic, natural and healthy. I would choose the healthy alternative… why wouldn’t you. My RMS Beauty Coconut Cream; I do everything with it. It removes make-up, moisturises face and body, conditions hair, clears rashes etc, great for sunburn, the best for oil pulling… I also take it internally and cook with it. I would be lost without it. Please tell us a make-up tip that every women should know… What make-up product should every women own? 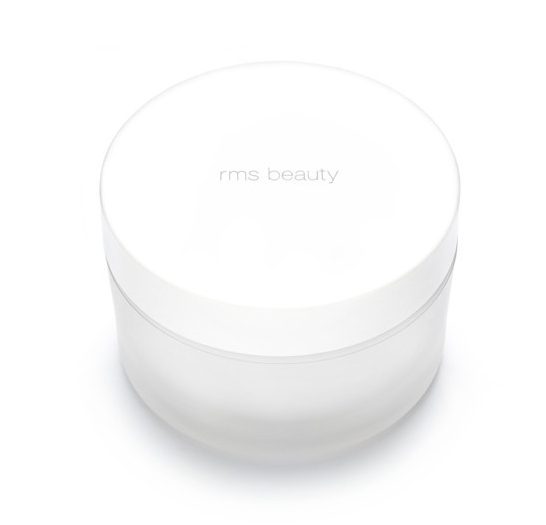 I am a firm believer that every woman should own my RMS Beauty Coconut Cream or my RMS Beauty makeup wipes (coming soon). To sleep in your makeup is a sin… lol. What is the best bit of beauty advice that you were given? Beauty comes form within and less is more when it comes to make-up. Thank you Rose-Marie!! Anyone else a fan of RMS?? 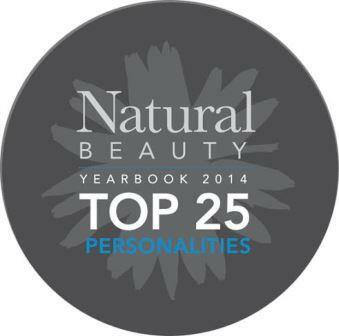 ← Favourite organic kit products.. Thank you for reading and for your comment! I’m so pleased you enjoy the blog. I’m glad you like RMS too – the products are so good aren’t they! I’m not sure where you can buy RMS outside of London but Content in Marylebone (beingcontent.com) is my go to place as they stock the whole range and you can go and try all the colours there. If you can’t get into town, they do offer a sample service which they post out so definitely worth getting in touch with them, all the girls there are so nice and really know their stuff. Thank you ever so muck for your reply. I’m in Marylebone every now and then,so will pop in next time. Thank you! I enjoyed your post! I’d never heard of RMS products, I am definitely going to have to check it out! I wonder if there is a place to order from the US? thank you! Yes you can order it directly from their website rmsbeauty.com Give it a go – I am so sure you’ll love it.